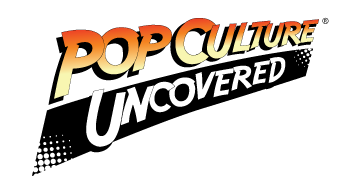 Home » PCU Zeitgeist » Cosplay Life » What does 29 Days of Black Cosplay mean to you? 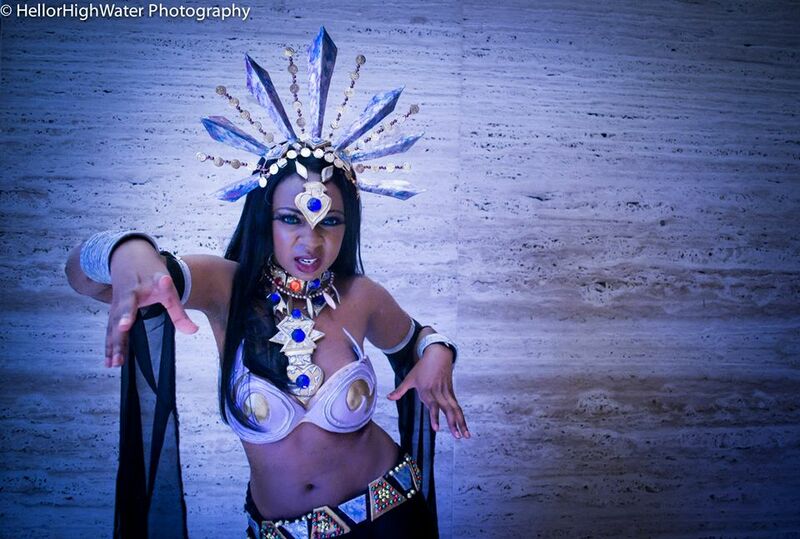 What does 29 Days of Black Cosplay mean to you? As editor and owner of this site, it makes me proud to be able to give voice to those that otherwise may not have one. The month of February is not important just because of we are celebrating our history that we are proud of but because this is the time to take an extra moment to be a positive light not only for our children but for the overall community as well. Too many people from so many different walks of life unfortunately look at this month and #29daysofBlackCosplay as something that is divisive or a way to separating groups of people and sadly they are so far away from the truth. Worse is that so many fail in not asking the BASIC question of why are we even doing this in the first place. This initiative is about inclusion and it’s about celebration. We don’t want to be left out simply because of how we appear. We don’t want to be seen as “the Black version” of whomever. Also it’s about promoting positive images and building self-esteem. When you look at the media, whether it’s comic books, TV or movies you would find it difficult to see positive images with people of color. Even when many of today’s comic characters have changed in their gender, race or sexual orientation, many cosplayers are still hard pressed to find a character that they can relate to. Also it’s not just among people of color. This initiative is meant to be an outlet for any minority who needs to find a way to identify that they too want a part of geekdom and exercise their voice. Thus, what we can accomplish with cosplay is give everyone a look at what could be if the media was more diverse and representative of the world at large. Our kids can dream they too, can be heroes. We asked cosplayers to let us know what #29DaysofBlackCosplay means to them in one sentence. Black cosplay means representation of heroes of color for kids to look up to so they know that heroes come in all colors. #28daysofblackcosplay is important to me because it shows we’re out here having fun, cosplaying whatever we want and you can too. #29DaysOfBlackCosplay is important to me because it has not only helped me discover and connect with other black cosplayers that I would have otherwise not known existed, but it has given me an opportunity to share the amazing black cosplayers that I already know. #28daysofblackcosplay is important to me, because it has allowed me to interact and meet so many new and amazing black cosplayers. #29daysofblackcosplay allows me to be unapologetically me (a proud, confident man of color) in an environment that would have you think my skin color makes me less than. #29DaysOfBlackCosplay is important because it is allowing Black cosplayers a concentrated amount of time to be shared to the rest of the world, and to hopefully be seen and treated as equal outside of this from here on out. #28daysofblackcosplay is important to me because it shows me that it’s okay to cosplay a white character, and that I’m not just a “black Harley Quinn,” but actually a “Harley Quinn” cosplayer. #29DaysOfBlackCosplay is important to me because this is an opportunity to encourage fellow POC to get out there and do what they love, and let them know that it’s okay to be different. Simply because representation and my voice matters. #28daysofblackcosplay is important to me because being a superhero is an American dream. #28DaysofBlackCosplay lets me meet more black cosplayers and see their versions of characters which are amazing. The reason #29daysofBlackCosplay is important to me because I feel I’m being seen and not ignored because of the color of my skin. #29DaysOfBlackCosplay is important to me because it’s about promoting positivity, encouragement, diversity, inclusion, and recognition for people who otherwise would be overlooked, passed over, or ignored. 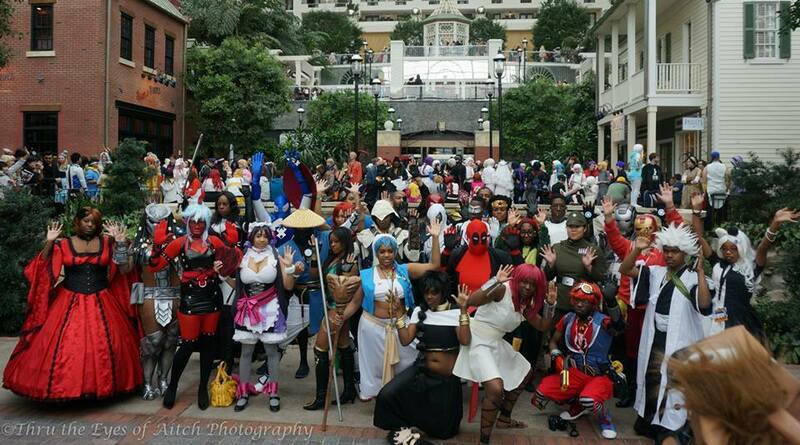 #28daysofblackcosplay is important to me because having this representation of so many black cosplayers brings me joy and reminds me that I am not alone. 1 Comment on What does 29 Days of Black Cosplay mean to you?